The South Dakota State University Construction Management Program students were one of three universities in the nation to win a $97,411 grant to increase opportunities for students and to develop additional curriculum focused on residential construction. 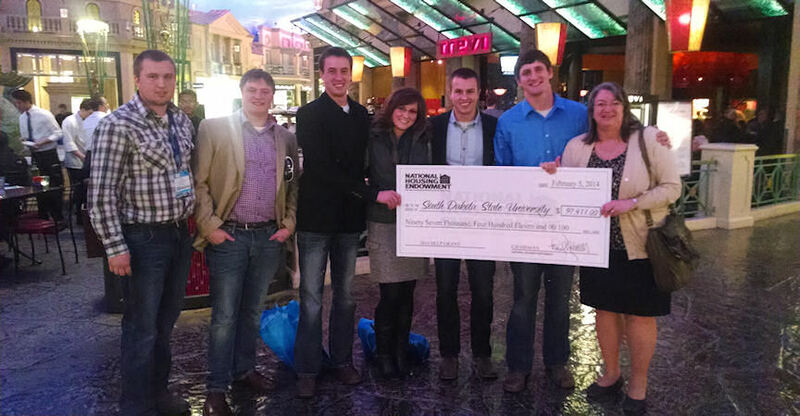 The grants were presented at the International Builders Show in Las Vegas in February. The grant money comes from the Homebuilder Educator Leadership Program which is a representation of the National Housing Endowment, the philanthropic wing of the National Association of Home Builders.